Star Gold premiere Ajay Devgn-starrer ‘Raid’ on 27 May at 1 pm. The action-crime thriller is premiering on TV within two months of its theatrical release. The film is touted as first Bollywood project to be based on an Income Tax raid. Helmed by Raj Kumar Gupta, who is known for directing movies like No One Killed Jessica and Aamir yet again brings another gripping story which is rooted in reality. 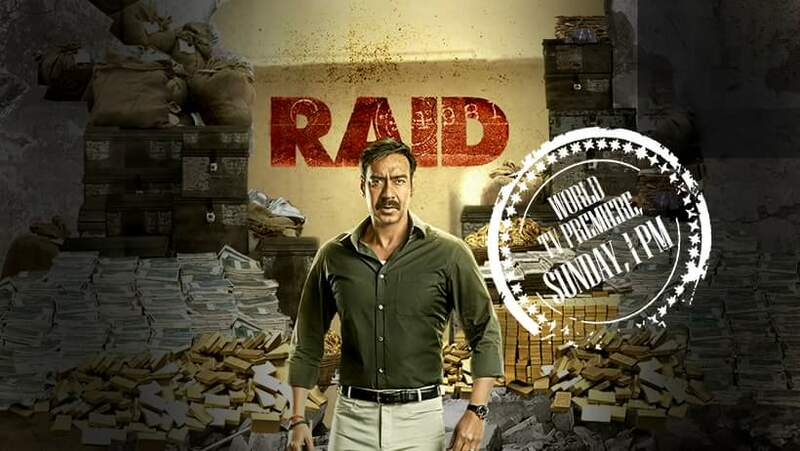 Based on a true incident from the 1980s, Raid explores one of the most high-profile raids executed in the country, boasting power dialogues and eminent star cast. Starring Ajay Devgn as an honest government officer and masterful Saurabh Shukla in the role of a wealthy goon, the drama also features Ileana D’Cruz portraying the role of Ajay’s wife. The couple seems to have teamed up together for the second time after Baadshaho.